La Brea, Stephen Shore‘s key photograph of 1975, constitutes the conceptual core of the La Brea Matrix Project. Six art photographers from Germany have accepted an invitation to Los Angeles as part of an artist-in-residence program in 2009 and 2010 to search for photographic points of reference to this iconic picture. In their previous work, these eminent photographers have reflected on American New Color photography in extremely different ways. The goal of the La Brea Matrix Project is by no means just to pay homage to Stephen Shore or to search for traces of his work. A conscious decision has been made to leave the criteria of this project open. The photographers can thus choose to focus, for example, on iconography, semiotics, form, aesthetics and reception history. The project will be implemented in three phases. First, a limited pre-edition will bring together a selection of pre-viously taken photographs that display a reference to Shore‘s seminal work. Second, the photographs taken in Los Angeles will then be presentedin a separate edition. 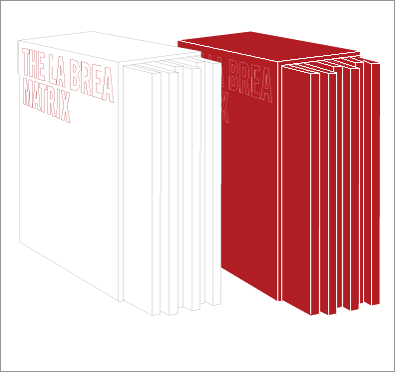 Third, an exhibition and books on the La Brea MatrixProject will be realized. The La Brea Matrix is a project of Schaden.com, Cologne and The Lapis Press, Culver City.